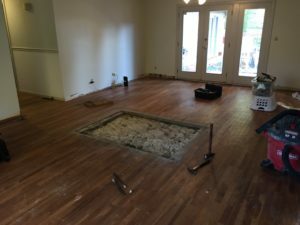 Refinishing a floor with traditional floor-sanding equipment and processes creates so much dust that it not only displaces the homeowner for several days, but it can take days and even weeks to fully clean up. Welborn Floors’s professionally engineered truck-mounted dustless floor refinishing equipment is engineered to produce maximum vacuum effectiveness and efficiency. We could quote horsepower and voltage, but in the end, the result is NO MESS. We will leave your home as clean as when we started, getting rid of all of the dust even before it enters the air. 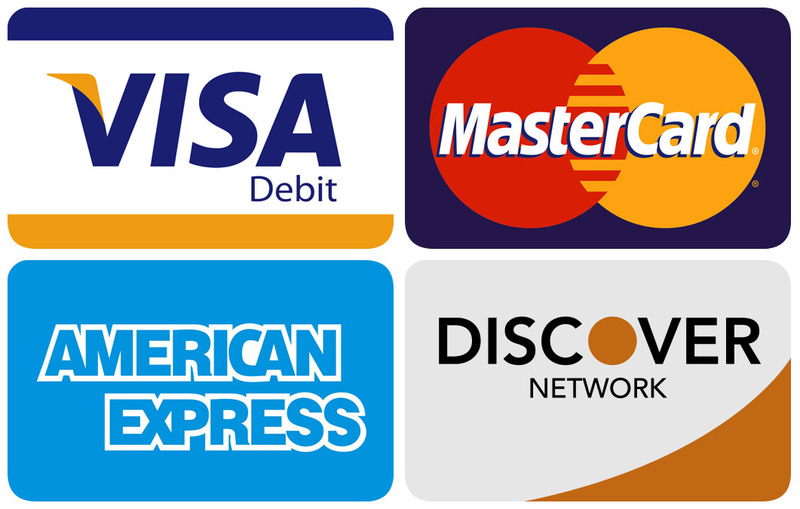 There is simply no comparison between our truck-mounted vacuum equipment and other portable systems. 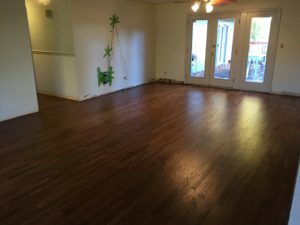 Will dustless floor refinishing work for me? The short answer is absolutely. 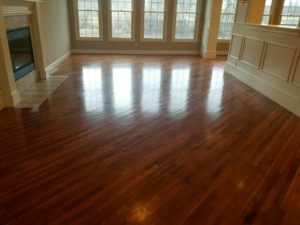 This is a floor refinishing process and doesn’t depend on the state of your floors at all. Whether your floor is in great shape and you simply want to change the color to match your new decor (ex. A), or it is in need of extensive repair (ex. B), our dustless process will be a dream come true. The best way for us to explain how dustless floor refinishing works is to show you. The video below traces the truck-mounted vacuum to the sanding equipment. You can see how the room is dust-free even as the sanding is taking place. Homeowner, you don’t have to cover furniture with tarps, close off rooms, or even stay out of your home. 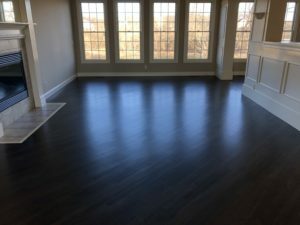 It also ensures a nicer end-result, leaving your floor free of any microscopic dust particles that might get trapped in the finishing process creating a rougher finish. This is state-of-the-art floor finishing.